Can you take apart the pieces of this traditional interlocking brainteaser, Professor Puzzle’s Imperial Palace Steps, and put them back together again? 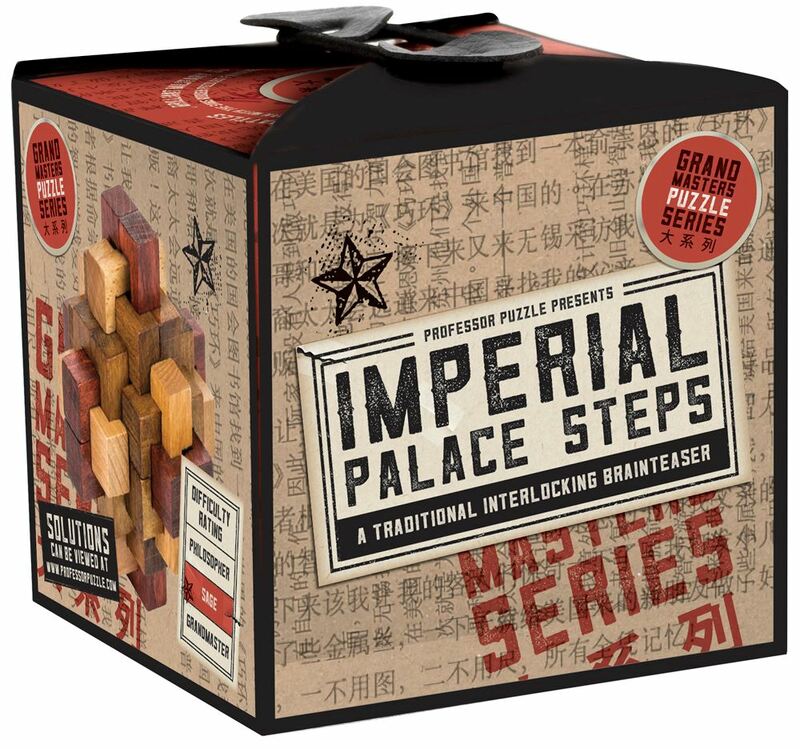 The points and corners that make up this puzzle are inspired by the steps of the Forbidden City, the Chinese Imperial Palace that was home to esteemed emperors. In between the two sets of steps, ornate carvings of dragons (the Chinese symbol of majesty and power) can be found. The emperor was carried up and down the stairs by his servants and was the only person allowed to pass over the carvings. Part of the Grand Masters range. Difficulty Rating: Emperor. Distributed in New Zealand by Holdson.